The United States might take home most of the plaudits when it comes to the world’s best golf courses, but Canada has its fair share of great places to play the sport too. Check out our page detailing the top five courses in Canada, whether it’s the links courses at Cabot Cliffs and Cabot Links or the more traditional fare on offer at St George’s and Jasper Park Lodge. For so long, Canada was a wilderness for golf, but that hasn’t stopped many famous names from making their name in the sport. Perhaps the most famous is Mike Weir, the 2003 Master’s champion, but in 2016 Brooke Henderson won the KPMG Women’s PGA Championship at the age of 18. Check out more of the best Canadian golfers on our dedicated page. The PGA Tour in Canada is almost 50 years old, having been established way back in 1970. It has gone from strength to strength since, with many North American pros harnessing their game in Canada before making the step up to the US PGA Tour. 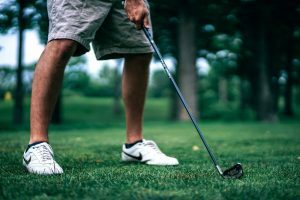 Golf is a fairly simple game, but with all the equipment, clothing, rules and everything else involved in playing the sport, many beginners can get put off joining in the fun before they’ve even got started. Whether it’s finding out which clubs to buy, or how to perfect your swing or short game, we’ve got all the tips you need to help you on your way. With so many different types and brands of clubs to choose from, it’s no wonder that novices – and, sometimes, even more experienced players – get so confused. Rather than splashing out $300 on the latest type of driver, you need to purchase a club that’s right for you. We’ll let you know what you should start out with, and which clubs you should avoid until you’re a little more experienced. We hope that you enjoy the site, and if you have any questions about playing golf in Ontario, don’t be afraid to get in touch with us!